The last few months have been filled with travel, most of it fairly mundane, with one notable exception…Alaska. Our first port of call, Ketchikan, was a wonderful introduction to Native American Totem Poles, as well as, the interesting patterns that are an integral part of the overall design. HMMMMM!!! My mind is spinning with ideas. Snakes & Butterflies & Beetles…Oh My!!! Yikes!!! It has been almost two months since my last post. My excuse…well, travel, working at and for the Co-Op and…procrastination!!! As an amends, I found the perfect ‘back to work’ featured photo. It doesn’t get any better than ants, snakes, butterflies, lady bugs and beetles on silk organdy. We can thank Gucci for this amazing combination. Scroll through the whole Pre-Fall 2016 collection for more ‘interesting’ design inspiration. 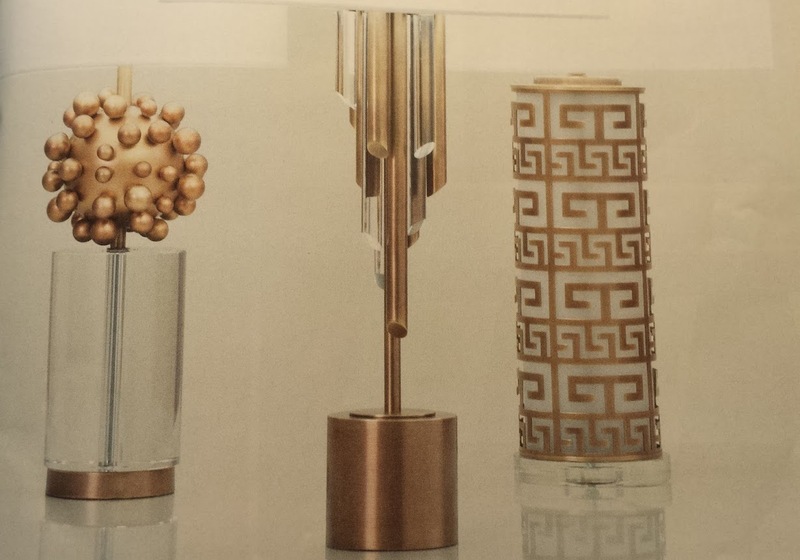 While flipping through the pages of the High Point Accessories Preview book, metallics appear to be ‘THE’ surface for Spring 2016. I apologize for the quality of the photos. Most of the items are new and the items have not been published online. The feature photo is an oil from Prestige Art. 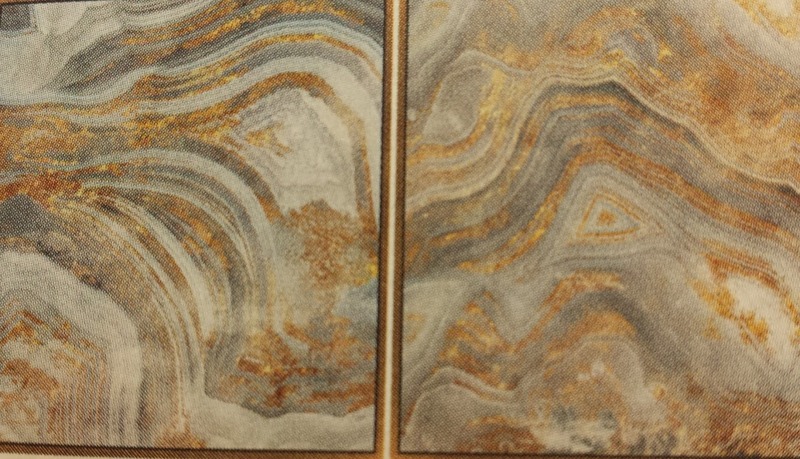 The reflective nature of the gold veining is not apparent in this photo, but I see translating design into a marbled polymer surface or even mokume gane. Love the tonal effect of the grays in contrast to the gold. The trio of lamps from Flowdecor, features the metallics in a traditional greek key columnar shape, a sleek contemporary paired with acrylic and a glass & textural base. Gold appears to dominate the metallic landscape this year, followed by bronze and then silver. The next few posts will feature the colors, textures & trends from the Spring 2016 High Point Furniture Market. The preview books arrived yesterday and after a quick perusal, it appears this deep blue is ‘THE’ color. How to describe it…HMMM!!! 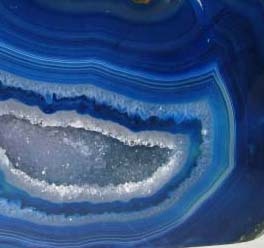 The deeper blues in this beautiful agate are close, as is the background color of blueprints. It isn’t even Spring and I am already looking forward to Fall…at least the Pantone colors of Fall 2016. As you may know, I was not very excited by the Colors of 2016, Serenity & Rose Quartz. From Leatrice Eiseman, Executive Director of the Pantone Color Institute: The desire for tranquility, strength, and optimism have inspired a Fall 2016 color palette that is led by the Blue family. 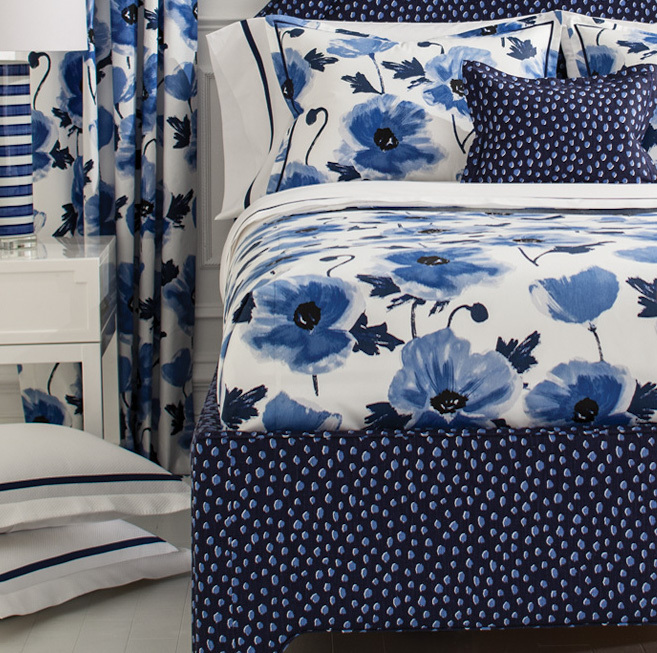 Along with anchoring earth tones, exuberant pops of vibrant colors also appear throughout the collections. Transcending gender, these unexpectedly vivacious colors in our Fall 2016 palette act as playful but structured departures from your more typical fall shades. Blue skies represent constancy as they are always above us. Grays give a feeling of stability, Red tones invite confidence and warmth, while the hot Pinkish Purples and Spicy Mustard Yellows suggest a touch of the exotic. My next project, translating these colors into the Kato color pallette. According to the March 2016 Town & Country, stripes were the dominant pattern in Spring Collections. 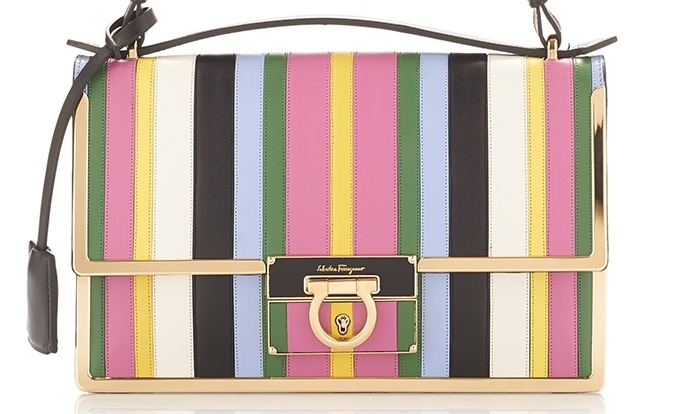 This Salvatore Ferragamo Aileen purse is already a best seller…and Spring is a month away. 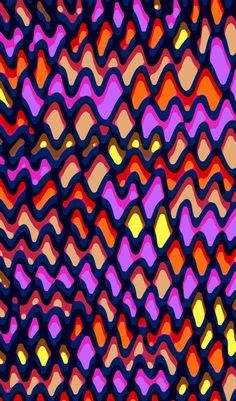 BTW…more stripes in a chevron pattern on the Ferragamo home page.